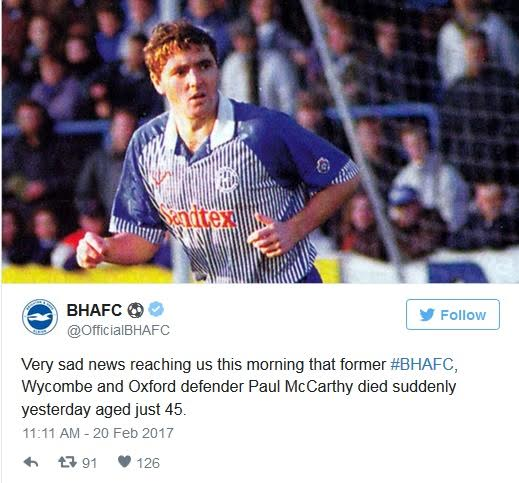 Former Brighton, Wycombe and Republic of Ireland footballer Paul McCarthy has died at the age of 45, after reportedly suffering from cardiac arrest on Sunday. Paul’s death which was announced on Monday by his former club, comes just 5 years after he retired from the sport. 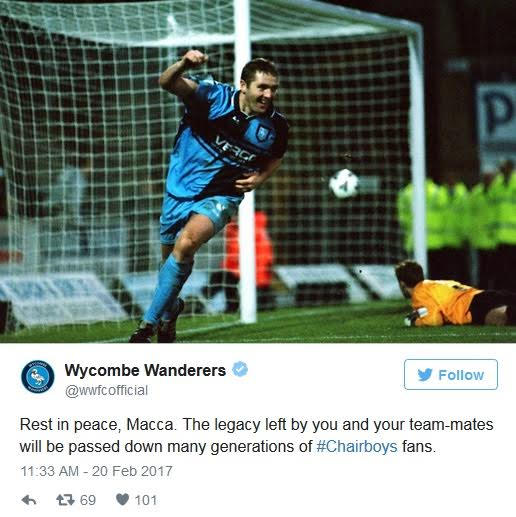 He made over 200 appearances for Brighton in a 23 year career and also played for Oxford United, Hornchurch and Ebbsfleet United – where he won the FA Trophy in 2008..May his soul rest in peace.